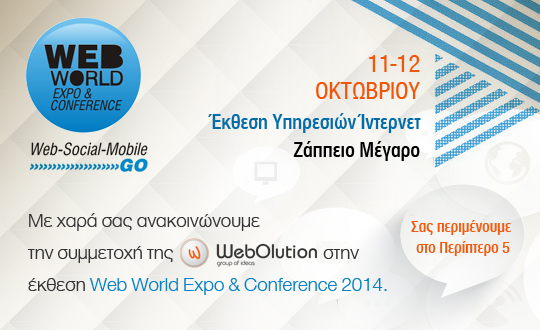 We are pleased to announce our participation in the exhibition Web World Expo & Conference 2014 on 11-12 October in Zappeion. WebOlution designed and developed the La-Tienda e-shop. La Tienda Shop is an importing Company of Asian food products and requirements. WebOlution designed and developed the brand new website of Sunrise Mykonos Hotel in Agrari Beach in Mykonos.